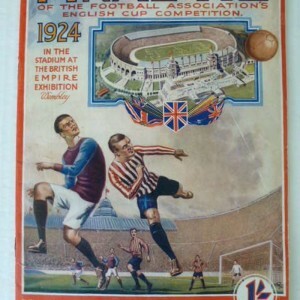 A rare 113-year-old football programme which cost just 1p when new has become one of the most expensive ever sold after fetching nearly £20,000 at auction. 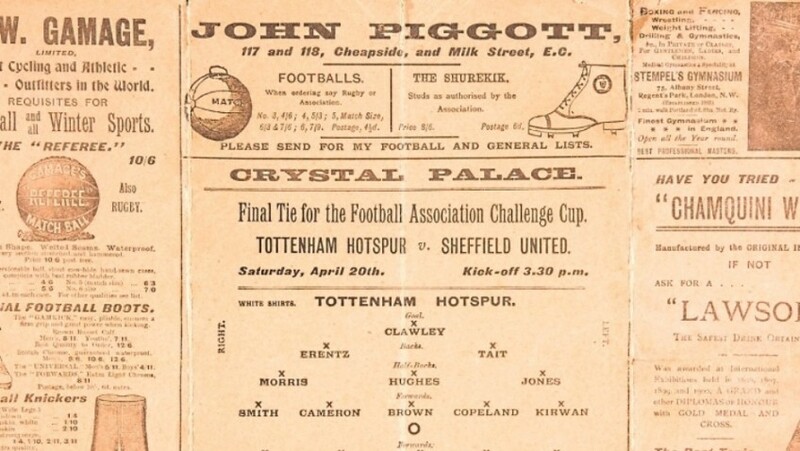 The booklet, described as ‘a good, clean copy’, was produced for the Sheffield United versus Tottenham Hotspur FA Cup final at the Crystal Palace in London on April 20, 1901. Sheffield United were in the first division – now the Premier League – when they met Spurs, then a non league club, so were favourites to win. 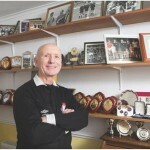 The first non league team to lift the cup. £19,000. 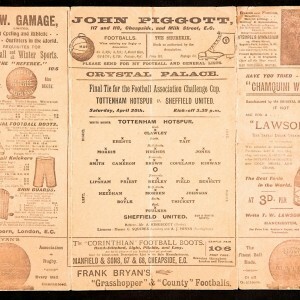 It has become the third highest price ever paid for a footie programme – in 2013 one from the 1882 FA Cup final sold at auction for a new world record of £35,250. In 2012 a 1909 FA Cup Final document detailing the tie between Manchester United and Bristol City sold for £23,500.